As you know, my passion for upcycling is endless. It is an exercise that can be applied in lots of fields: in my case, I do it practically in an unconscious way with all the objects that surround me. Today in particular, I’m going to show you how upcycling goes beyond small and worthless objects: it can be used for jewelry, luxury items, upcycling in interior design… You can do upcycling with almost everything, included all quality materials. As I have told you many times, upcycling depends on the imagination so possibilities are endless! 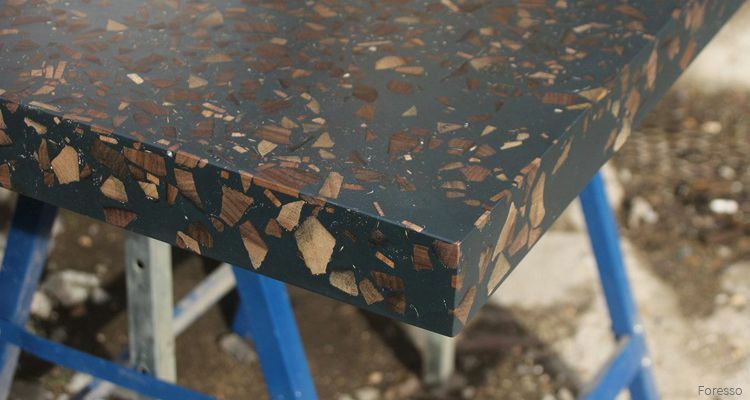 Wood, apart from a natural resource, is a very valuable material because it is so beautiful in its natural form that it can have more uses and applications than anyone can imagine. Believe it or not, lots of workshops that work with precious wood pieces, throw away lots of them because they have defects, because the form does not fit with the creation they are working with… And do you know what do they do with this wood? They burn it! Regarding this matter, I’ve found a very inspiring artist called Conor Taylor that has gone beyond with the upcyling concept creating an artistic concept itself. He has created a new material called “Foresso”, using little pieces of wood and doing compositions with it that are employed afterwards for wall coverings, parquets, decorative pieces… Whatever you want! If you look carefully the pictures, you can see the little wood grains. It is absolutely amazing! 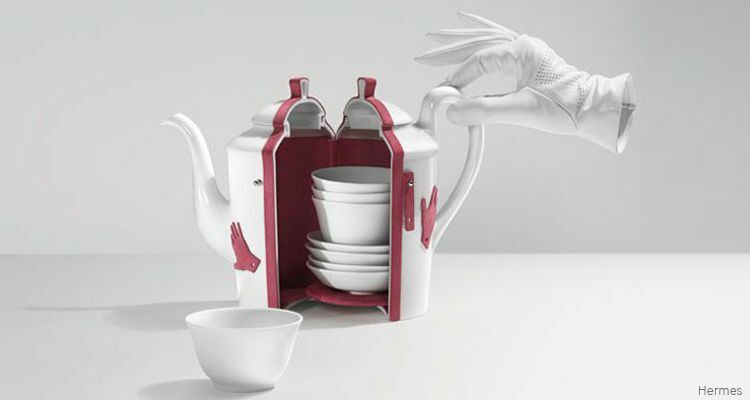 There are also big brands which, since many years ago have seen the potential that upcycling has to create unique items from materials that can be easily found in their “homes”. This is the Hermès case, for example, that came out with the “Petit H” collection. The idea is simple: the maison uses the leftovers of materials used in the workshops and transforms it into new and exciting objects with the luxurious and glamorous DNA that characterises the brand. The creations of the past go from mirrors framed in leather and buckles to Kelly bags, sauce spoons that become pendants or big spoons reconceptualized as lamps. 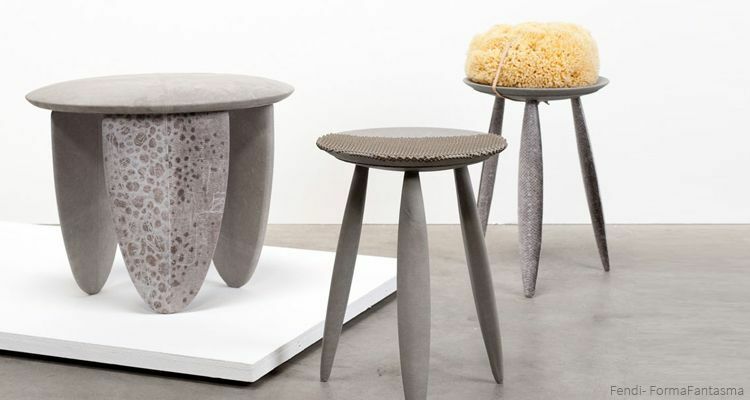 Following the same process, Fendi put the Italian designers Andrea Trimarchi and Simone Farresin de Formafantasma in charge of creating a series of objects using different leather pieces rejected at the maison. 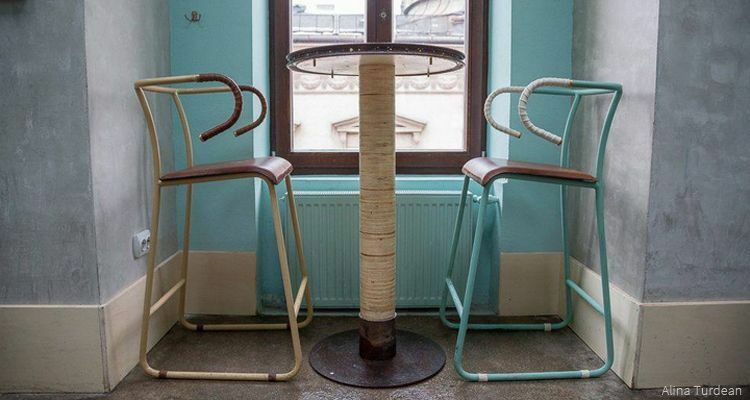 As I was telling you before, the upcycling possibilities in interior design are immense. The thing is that, doing upcycling, you give not only a new life to the object but, if you do it in a coherent way with the space spirit and functionality that you are going to decor, we give it an incredible personality. 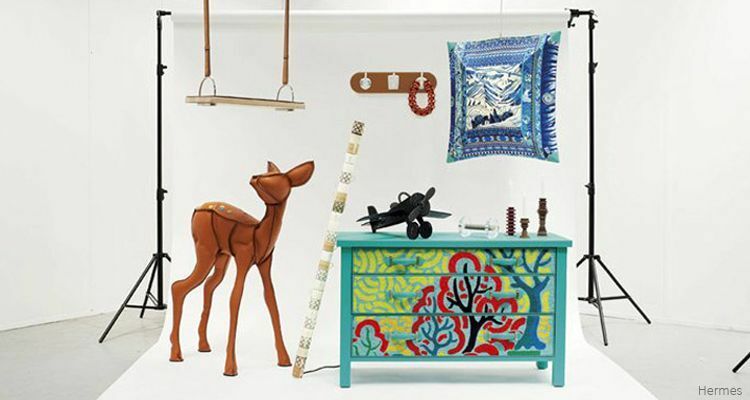 Furthermore, it is not the same to decorate a space with new furniture than decorating it with certain objects that you liked before giving them a new life. A new space can become a space full of stories and memories thanks to these objects and materials. We can find the example in bars, restaurants and cellars that use the same wine barrels to create tables or chairs, or that create furniture from old product boxes, as wine bottles, pallets, antique furniture etc. 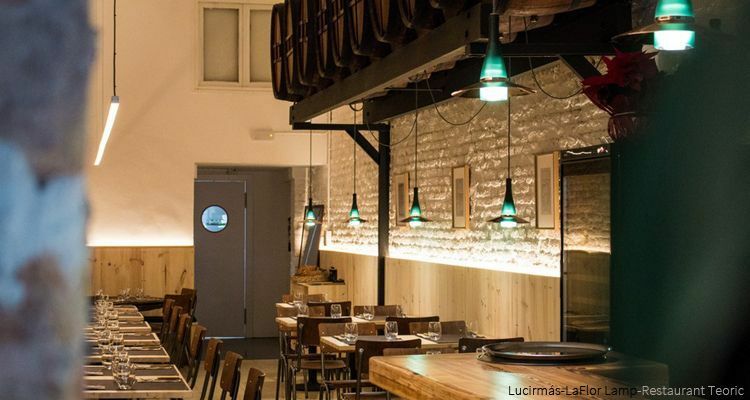 In Barcelona, the restaurant Teòric, in the Eixample Dret, chose our lamp LaFlor Lamp Dark Tourquoise for the restaurant decoration. They decided this lamp was the ideal one, that is the most pure version of LaFlor Lamp (it only has a matte finishing that reveals the true and beautiful colour of the original glass bottle), whose philosophy is based on using bio and km0 products in a creative way. 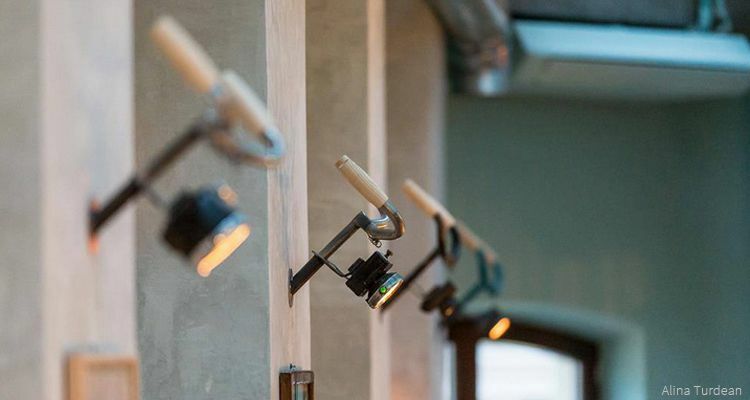 So, a creation as LaFlor, that is a design homemade lamp made from the upcycling of a glass bottle, created by a local designer in collaboration with another craftman from Barcelona, is an extension of the restaurant spirit. Lately, the market concept is a trend in the restaurant design sector, that tries to emphasize the philosophy of market cuisine and Km0 products. A great way to achieve it is through the decoration, with which you can pretend to emulate the variety of products you can find in a market: fruit boxes, flowerpots, scales… There are lots of objects that can be upcycled to contribute to the decoration. 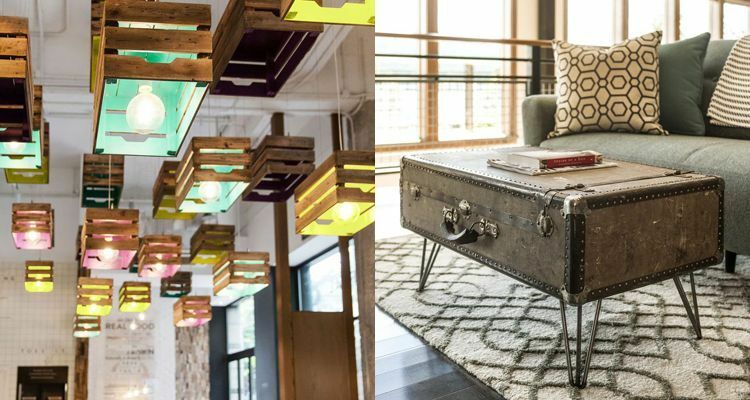 Another way to use upcycled materials to create a unique space in hotels, bars and restaurant is to create theme spaces using pieces from objects that we no longer use. 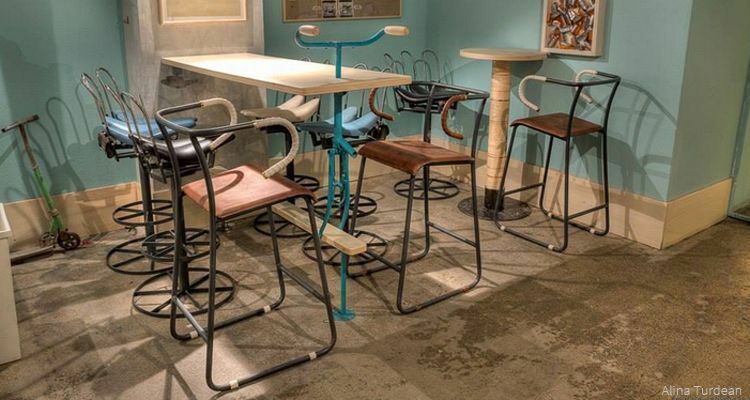 We find a great example in the Bicycle Bar in Bucharest, a space in which almost all the decoration elements have been created from the upcycling of old bicycles. What do you think? These are only a few examples of the amazing and charming spaces that you can find whose decoration is based on upcycling. If you are thinking about giving a fresh air to your home or workspace, I hope this post inspires you! 3. It helps us to appreciate more the things that surround us because it invites us to find the good in which at first sight is worthless. 4. It encourages the originality and contributes to create unique ambiences. If you have missed the first post of the trilogy about upcycling, click here.